Our flagship frame for the 2018 season. A lightweight yet very stiff frame and fork made from hardened 6061-T6 aluminium alloy. It is the lightest of our framesets. 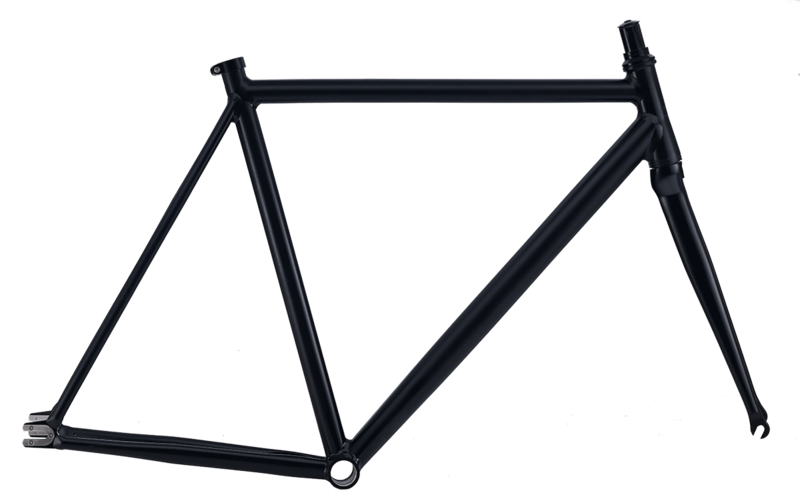 Available in a somber matte black color with the engraved Focale 44 Falcon logo on the head tube. Integrated headset, BSA bottom bracket and horizontal CNC dropouts. Perfect for track, city and road use.